Stunning Sol wearing the skirt of your dreams by the French designer Yves Saint Laurent. 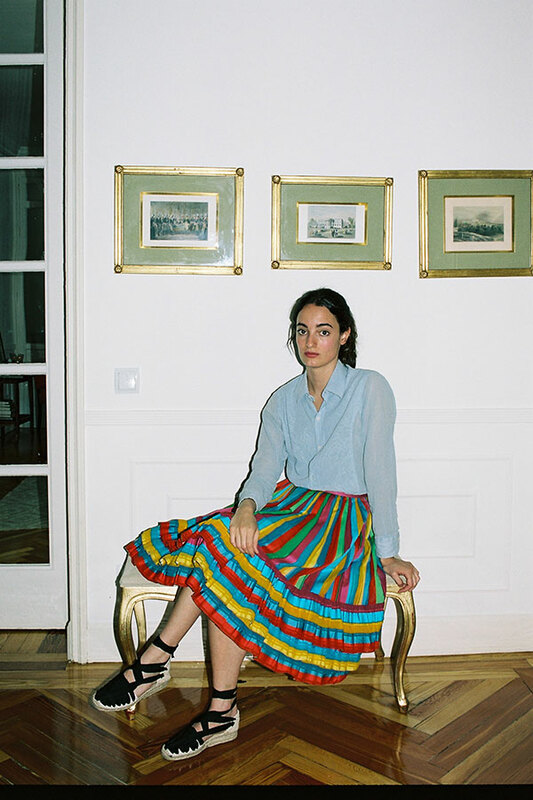 Dating from the 1980’s, this skirt brings you a colour festival: yellow, green, red, blue and orange all over: a vibrant folkloric look with some Frida Kahlo reminiscences. This full peasant skirt is softly pleated and adorned with three frills at the bottom. High waisted and knee length. Slightly flared, dances with the wind, which makes it perfect for running through the countryside while picking daisies. Just insane! No words to describe how much I love this skirt. Just too cute to be true. – Best for size Small or EUR 36. No stretch at the waist. – Side zipper and button closure. – Composition: 100% Cotton, but no composition tag. 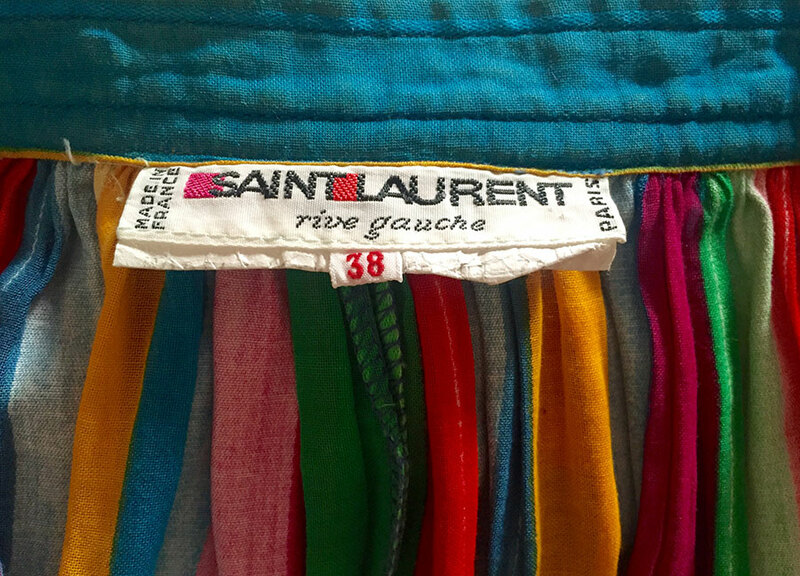 – Bought in Paris from a private collection (January 2015).